Melvin Alexander Bodden, better known as Palanca, is an eclectic artist of many talents. 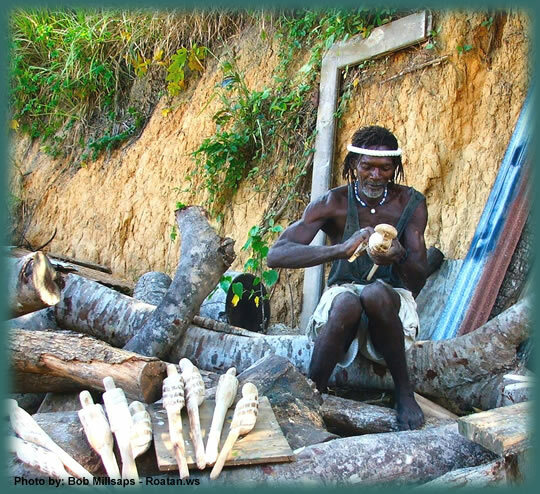 Roatan claims him as their award wining local wood carving artist! This works of art literally blanket the island of Roatan. Look for them at the foot stoop of shops, on counter tops in restaurants, and hanging from various porches and balconies! He has a fun knack of staring at pieces of driftwood or discarded branches of trees and seeing a living creature pop out! With his vision, carving tools, and paint; a new creature is born. He says he likes to capture the island life around him and its people. 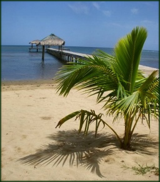 Escape to Roatan's pristine beaches, coral reefs and participate in Roatan island culture. this gives the sculptor great joy. directly drawn from the artist's nature."